Melt the butter in non stick or cast iron. Add the pecans, brown sugar, salt & cayenne. Stir constantly over med-low heat until the sugar is completely melted. Turn to med-high heat and continue stirring constantly until the sugar starts to caramelize. 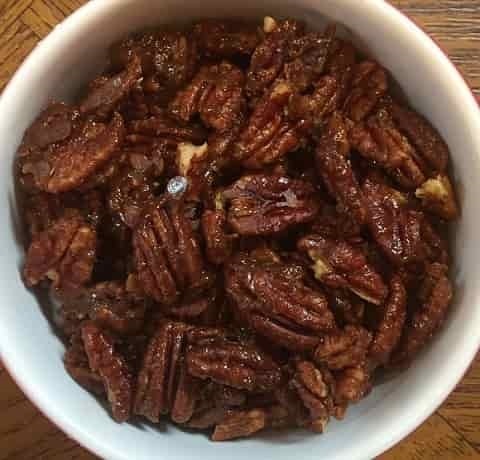 Spread the pecans over wax paper to cool. Photo and recipe provided by Kevin McCullin and is used with permission.